The Timberview window system combines the warmth of real wood on the interior with the low maintenance of an all welded vinyl system on the exterior. 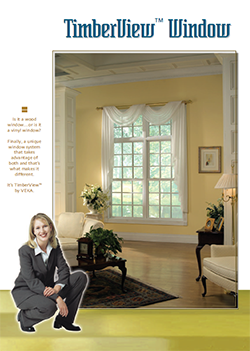 Natural wood is applied directly to the sash interior, giving your Timberview® window a beautiful, rich look. Extension jambs for 4 9/16" and 6 9/16" walls allow for ease of installation. Integral interlock provides a tight weather seal at the meeting rail. 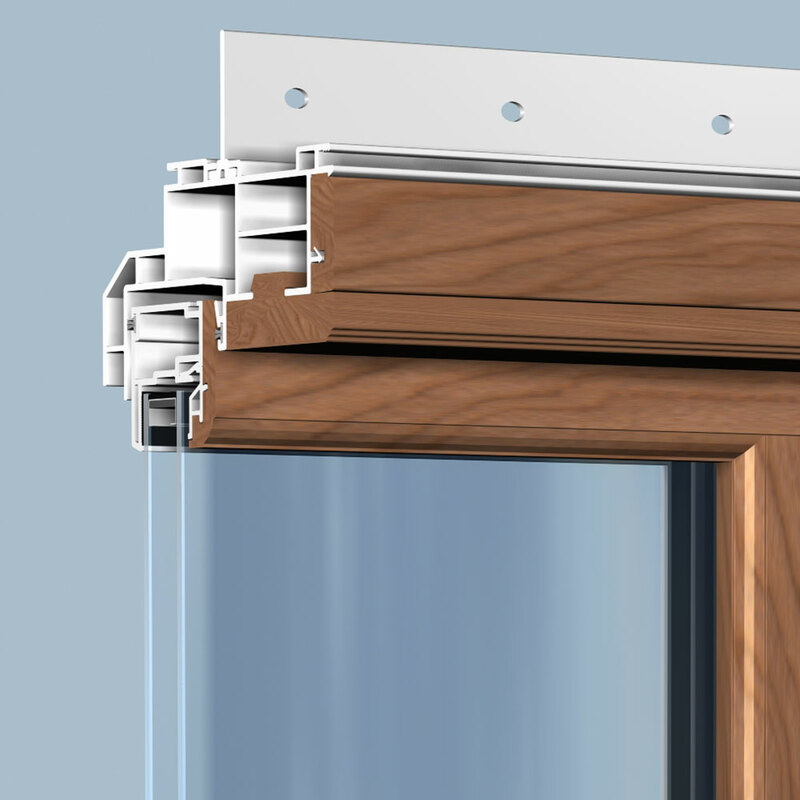 And, the flush mount tilt latches make the VEKA Timberview window easy to clean. 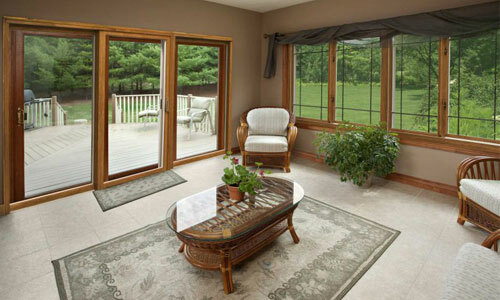 Timberview windows are made with an all-welded frame and sash. The use of a sloped sill and traditional clad window allows for water drainage to avoid trapping moisture. This window unit installs as easily as a traditional wood unit; there are no drywall returns, collapsible nail fins, or special tooling needed. 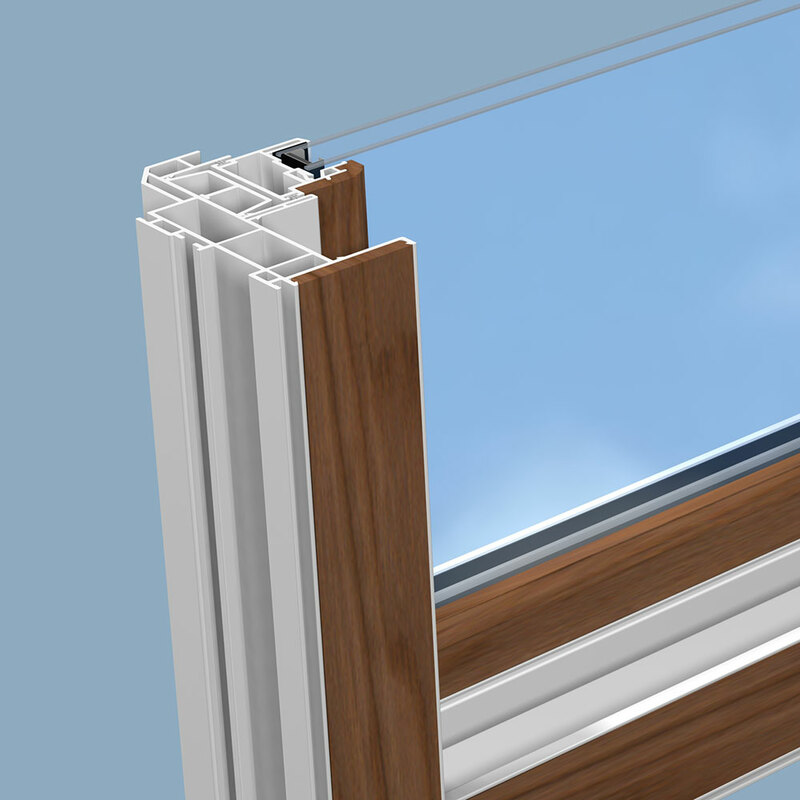 With 3/4" insulated glass, multi-chambered profiles and integral weather stripping, this system is highly efficient. The truly unique value of the Timberview system is the glazing bead that allows the wood and vinyl to float on each other without glue or any mechanical connection. They can expand and contract at different rates without creating any stress. 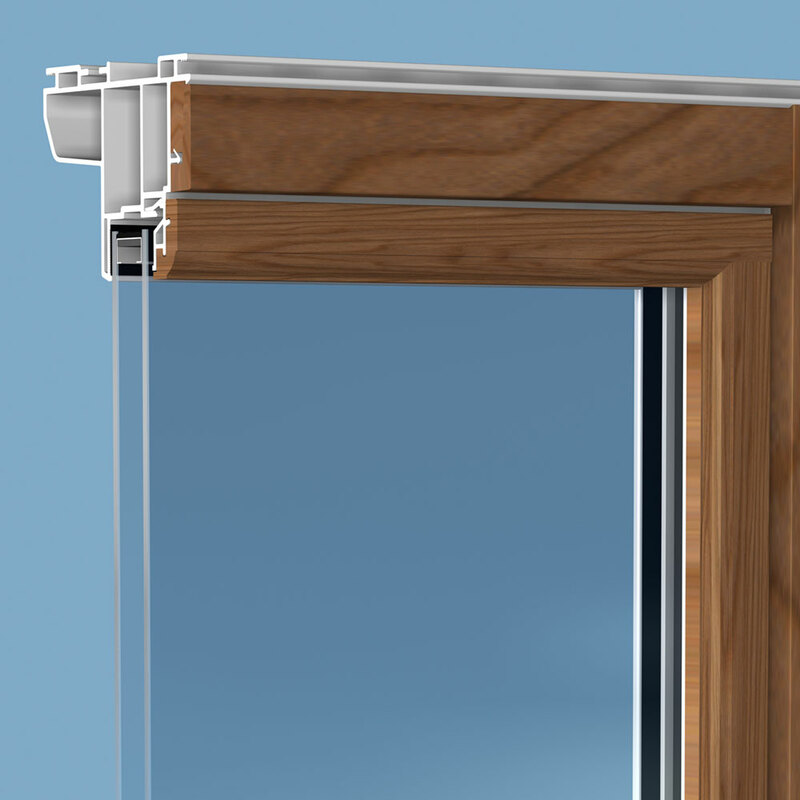 This float method, unlike "capping or cladding" of a wood window with vinyl or aluminum, eliminates moisture build-up that can rot and decay the wood sash beneath.